MediaTek unveiled the Helio P60 – a mid-range chip that will challenge the Helio X30. And it goes without saying that it has hardware to accelerate AI tasks, the NeuroPilot core. The P60 is built on TSMC’s 12nm FF process (rather than 10nm FF+ like the X30). It has four Coretex-A73 cores clocked at 2.0GHz and four A53 cores also at 2.0Ghz. That’s a massive jump in performance compared to the previous P-series chips – MediaTek promises a whopping 70% boost compared to the P30! The GPU is 70% faster than its predecessor – it’s a Mali-G72 MP3. 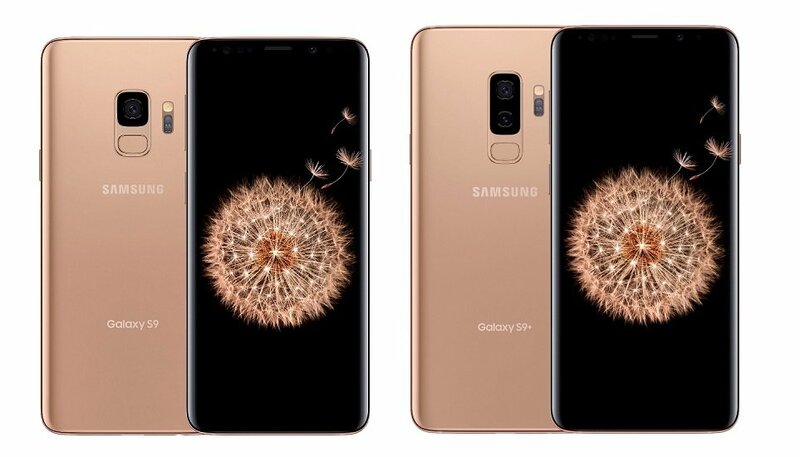 That’s not going to live up to flagship expectations (e.g. Kirin 970 has 12 cores), but it’s still a tangible improvement on what came before it – there’s a comparison table at the bottom. The NeuroPilot will handle AI tasks through the standard Android Neural Networks API with “class-leading” performance, though we don’t have a point of reference here. Also on the chipset are three ISPs, which can handle a dual-camera setup while using 18% less energy. Combined with the Ai accelerator, camera apps can do real-time enhancements and overlays. Thanks to the 12nm process, the Helio P60 is MediaTek’s most efficient P-series chip yet. Compared to the P23, it uses 12% less power on average. This number goes up to 25% for the most demanding games. The chipset supports 1080p displays with aspect ratios of up to 20:9. For memory, it can use UFS 2.1 storage and up to 8GB LPDDR4x RAM (1,800MHz). The on-board LTE modem supports Cat. 7 downlink speeds and Cat. 13 upload speeds and dual-SIM functionality. 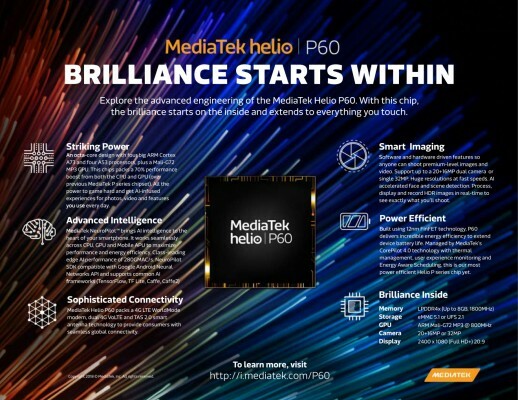 The MediaTek Helio P60 will be available globally in early Q2.